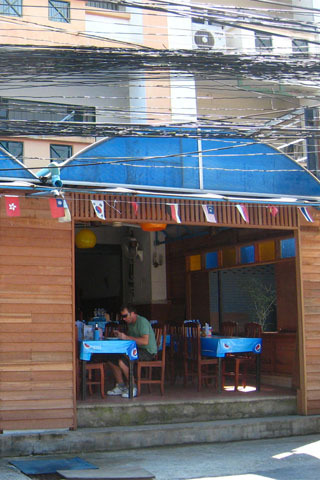 There’s a surprising abundance of good restaurants in Chalong. All of the places mentioned here are along the road running up to the pier. 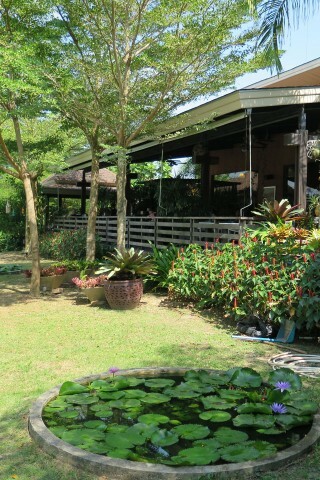 Serving up both vegetarian and non-vegetarian fare, Shanti Lodge is a big favorite among the local expat crowd. 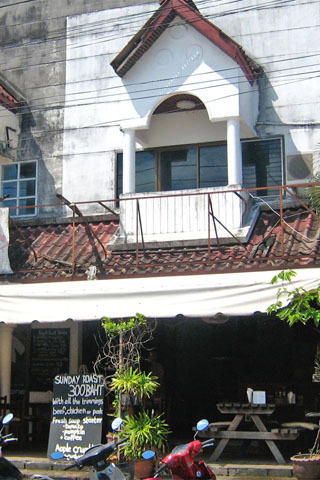 The restaurant’s décor is that of a home of a hippy artist, with stainglass windows and an extensive book collection. 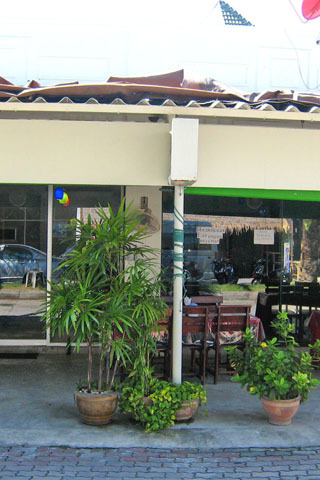 The food is very well priced by Phuket standards with most basic dishes setting you back 90B. The tofu-stuffed pockets are worth traversing the island for and... Read our full review of Shanti Lodge. With a big, well-priced menu and a serene setting on the edge of a pond, Rimtang @ Chalong is worth a visit for its real Thai flavours served up with a bit of... Read our full review of Rimtang @ Chalong. If you’re on the hunt for a family-friendly seafood spot right on the beach in Phuket, Kan Eang 2 in Ao Chalong is a fine choice, with a variety of delicious Thai dishes on the... Read our full review of Kan Eang 2 Seafood Restaurant. Admittedly, it’s nothing to rejoice about but it will fill you up for a fraction of the price of other places around Ao Chalong. It’s a very simple place with restaurant, with chairs, tables and little else — but what else do you need? One plate dishes start at around 40B, while if seafood is what you’re after, the friendly staff can barbecue or fry up just about anything you want for 100B.... Read our full review of Fon-Fon Seafood. While we didn’t spend the entirety of our time in Phuket scoffing Indian food, we found Mr India to have some of the most authentic Indian food in all of Phuket — try their chicken masala. Mr India also does take away, so if you feel like enjoying a curry away from the blinding bars you can. Meals begin at 160B. Open for lunch and dinner.... Read our full review of Mr India Restaurant. Though it will set you back a mere 300B, it is a grand spread and even comes with Yorkshire pudding. 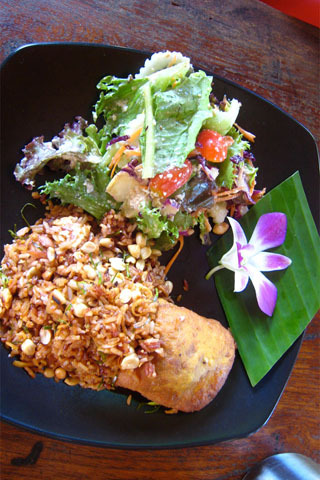 Their Thai food isn’t too shabby either with all the standards covered and served in generous proportions. The lovely owner of the bar, Miss Dang, worked as a cook for a few years in the UK and does her upmost to make sure you are taken care of. Don’t be surprised if you end up hanging around... Read our full review of Happy Days. 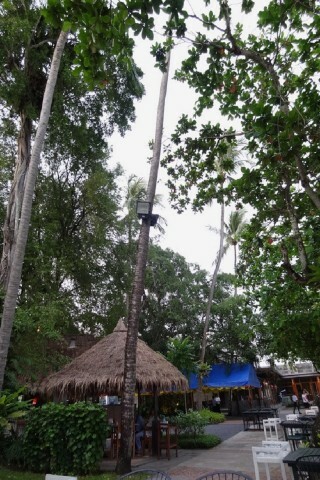 Where are you planning on heading to after Ao Chalong? Here are some spots commonly visited from here, or click here to see a full destination list for Thailand.